Franz Steiner was born in Czechoslovakia. He joined the Luftwaffe and received his flying training at flying schools in Austria and East Prussia. Steiner was posted to JG 27 in the late summer of 1940. He participated in the invasion of the Balkans before transferring with JG 27 to North Africa. In early 1942, Steiner was transferred to JG 1 based on the Western front. He was assigned to Kommando Losigkeit, based in Norway, to provide air protection for the German naval vessels sheltering in the Norwegian fjords. The unit returned to Germany in March. Steiner remained with JG 1 until the summer of 1943. Steiner then spent a brief period as an instructor with an Ergänzungsgruppe, based at Märkisch-Friedland, before transferring to JG 11. Unteroffizier Steiner was assigned to 2./JG 11. Here he flew Fw 190 fighters on Reichsverteidigung duties with much success claiming 11 victories in five months, including ten four-engine bombers. On 6 March 1944, Steiner attacked a formation of USAAF four-engine bombers near Quakenbrück but was then shot down in Fw 190 A-7/R6-4 (W.Nr. 642 523) “Black 5” by American ace, Major James Stewart (11.5 confirmed, 1 probable and 3 damaged victories) of the 56th FG flying a P-47 fighter. Steiner was able to bale out of his stricken aircraft but struck the tail surfaces and suffered a fracture of his right knee. 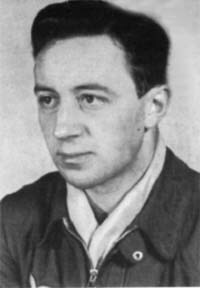 Steiner joined JV 44 to fly the Me 262 jet fighter in late March 1945. He underwent conversion training at Brandenburg-Briest, making his first flight in the jet on 27 March. He served out the remainder of the war with the unit. Franz Steiner was credited with 12 victories. All his victories were achieved over the Western front and included ten four-engine bombers.